Somebody gave that Christmas Coke commercial featuring Santa Claus playing with a snow globe an Inception re-edit. As Amanda Dobbins at The Vulture points out, this might explain how Santa is able to travel across the entire globe on Christmas Eve. Pretty funny, although the shots of the snow globe make me think we need a Citizen Kane re-edit, too. Hope everyone has a happy holiday. Over at his CinemaTech blog, Scott Kirsner offers a nice overview of some of the key contributors to his recent Distribution U summit in New York. Because I’ve been doing some research on fan adaptations recently, I was especially intrigued by the video presentation by Timo Vuorensola, maker of the Star Wreck series and the film, Star Wreck: In the Pirkinning. In the video, Vuorensola is discussing his new project, Iron Sky and his very cool “Wreck a Movie” platform. Anne Thompson offers an initial report on Amazon’s plans to create what amounts to a crowdsourced movie studio. Users can submit storyboards, scripts, and even completed projects to the site where they can solicit advice from others. Amazon, however, retains exclusive rights to all projects submitted to the service. The one enticement (beyond Amazon’s “first-look” deal with Warner) is that they will be awarding monthly and yearly prizes. Liz Miller of NewTeeVee reacts and warns aspiring filmmakers to read those rights agreements carefully. Scott Macauley is also skeptical and uses the Amazon announcement to raise some red flags about crowdsourcing in general. I’ve really been enjoying the interview series on the state of political remix videos that Henry Jenkins has been posting over the last few days. I wrote about political remix videos quite a bit during and after the 2008 election and may be returning to the topic for a conference paper (and maybe a journal article) this spring. Here is part three of Henry’s series. According to research cited by NewTeeVee, viewers may be watching online video on anywhere from five to ten screens per household, thanks to smart phones, tablets, laptops, and other devices. On a semi-related note, Time Warner is now experimenting with a new, cheaper cable bundle that would cost only $40 a month but would cut out some basic cable staples such as ESPN. Finally, one of the sections of the book that makes me cringe a little is my discussion of interactive movies, in part because I lost track of how digital video could be used to create interactive features. With that in mind, I really liked the recent Choose Your Own Adventure-style “Night of the Living Dead,” which repurposes footage from the original Night of the Living Dead (currently in the public domain, apparently). For people familiar with the original film (or even the plot devices of zombie films in general), it will likely be easy to steer the lead characters to safety; although it might be equally fun to create a little mayhem. You can always backtrack later. On a related note, here is a discussion of an interactive cinema iPhone app. Jeff Deutchman’s crowdsourced documentary, 11/04/08, which assembles footage of people’s reactions to the election of Barack Obama as President, had a simultaneous premiere in approximately 20 cities the other day. The film will soon be available from Amazon, YouTube, and other online retailers. Matt Dentler and Christopher Campbell have the details. I missed the premiere because of travel, but I have to wonder how the documentary looks nearly two years after Election Day through the political lens of ongoing political and economic uncertainty. Hoping to watch it soon. Barack Obama joins Dan Savage’s “It Gets Better” project, addressing bullied and isolated gay teens with a message of comfort. The LA Times has an interesting discussion of the reemergence of consumers choosing to rent rather than purchase movies on DVD (or in streaming formats). David Poland cites the Kickstarter success story, Blue Like Jazz. One of the commenters suggests that Jazz’s success may be tied to its appeal to Christian audiences. No matter what, raising over $300,000 online for a movie is an impressive achievement. Hoping to have more to say about this project soon. Fun video of the day: an indie director and Charlie Chaplin fan comes to the conclusion that he has spotted a time traveler on a cell phone at the premiere of one of Chaplin’s films. Needless to say, commenters at Cinematical are skeptical. Scary video of the day: Citizens Against Government Waste uses race-baiting fear tactics to persuade us that progressives are in the process of destroying the American economic empire. The video plays like a cross between the Apple 1984 ad and the sequel to Red Dawn. Netflix is investing bigtime in streaming content, with a tab that might exceed $2 billion (h/t Chris Becker). More on my trip to Bogota later this week. A pretty creative response to the totally awesome Donald Duck video from the other day. Via Henry at Crooked Timber, Donald Duck Meets Glenn Beck, a brilliant remix of dozens of Disney cartoons from the 1930s to the ’60s. Let’s hope Disney’s lawyers respect this as an example of a transformative work, one that falls well within the boundaries of fair use. Since I haven’t had time to see the real “Facebook movie,” I thought I’d revisit the YouTube Movie trailer parody instead. Spotted via Christine Becker’s News for TV Majors, Eric Deggans reflects on whether satire TV (of the Stewart-Colbert variety) can fix what ails our political system. Hunter Weeks of 10 MPH discusses what he’s learned about DIY movie distribution. With the planned release of 3D versions of Star Wars and Titanic, the LA TImes asks if studios are going too far with the gimmick. Hollywood might just kill my desire to go to movie theaters after all. The makers of the ElfQuest graphic novel have gotten behind a fan-produced and crowdfunded 1-3 minute internet trailer based on the novel (the rights to a film is currently held by Warner). Not only have they given the filmmakers their blessing, they are donating artwork and promising personal phone calls to anyone who donates at the VIP level. 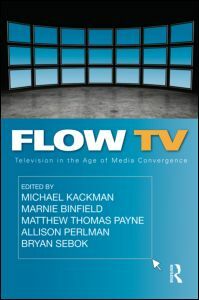 Like Jonathan, I am very happy to have finally received my copy on Flow TV: Television in the Age of Media Convergence, edited by Michael Kackman, Marnie Binfield, Matthew Thomas Payne, Allison Perlman, and Bryan Sebok. My contribution, “Representing the Presidency: Viral Videos, Intertextuality, and Political Participation,” attempted to make sense of the evolving strategies being used by political participants of all types to engage with the 2008 U.S. Presidential election through the production of videos that infused politics and popular culture, following up on a short essay I’d written on the ground-breaking “Vote Different” for Flow’s online journal and a co-written article with Rich Edwards that found its way into First Monday. Although the book “took its sweet time” navigating the path to publication, as Jonathan puts it, the delay may have served me well in that it allowed my article to serve as a coda to some of the research I was doing at that time. It also makes me want to revisit how the grounds have shifted when it comes to political video: what happens now that the Democrats are no longer the insurgent or oppositional party? How have the Tea Partiers mobilized the powers of popular culture to support their opposition to the Obama administration? I began to hint at some of those questions by looking at Mike Huckabee’s use of Chuck Norris to give muscle to his campaign, but there is much more work to be done. The collection itself is a fantastic one, with essays very nicely juxtaposed to speak to questions about the implications of media convergence, and I’m pleased to be included in such good company, with essays by Jason Mittell, Derek Kompare, Heather Hendershot, John Corner, Hector Amaya, and many others. 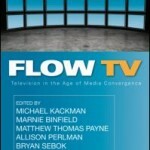 I only wish I could have been at this year’s Flow Conference to toast the book’s launch with the writers and editors who helped put it together. Henry Jenkins posted the extended version of his op-ed, on “Avatar Activism” to his blog. The original appeared in Le Monde Diplomatique. Cinematical reports that the makers of Freakonomics have a one-day-only promotion that allows audiences to pay the price of their choice to see the film. You can pay as little as one cent and as much as $100. All you have to do is fill out a survey, “so economists can analyze data about what kind of person chooses what kind of cost for him or herself.” This is the second major experiment with alternative forms of distribution for this film. It’s already available on pay-per-view, several days before its theatrical premiere. MediaShift has an interesting discussion of how filmmakers have used crowdfunding tool Kickstarter to help pay production costs. Some fascinating discussion of the blurred lines between democracy and entertainment when Lady Gaga tweeted an appeal to her followers to contact their Senators to support the repeal of Don’t Ask Don’t Tell. And in what seems like a notable juxtaposition: Netflix announced it is now making its streaming video service available in Canada just as the Wall Street Journal was reporting that Blockbuster looks to be headed into bankruptcy. Finally, Lawrence High School is back, following up their “Kids in America” lip dub video with a performance of “Colour My World.” Once again, they’ve made an incredibly fun video that brightened my afternoon. YouTube has made its gallery of videos for the crowdsourced documentary Life in a Day open to the public. YouTubers contributed over 80,000 videos for consideration to be included in the final documentary. NewTeeVee and Cinematical have all the details. Scott McLemee writes about his decision to bite the bullet and buy an e-book reader. I’m still resisting buying one, but I think that Scott usefully demonstrates how they might be useful under certain circumstances. Johnathan Zittrain asks whether the “future of the internet” he predicted has come to fruition. Some interesting thoughts on the state of the “generative internet” as it exists today. Bob Stein has a discussion of James Bridle’s The Iraq War, a compilation of all of the edits to the Wikipedia article on the recent Iraq War. As a historical document and an attempt to wrestle with how knowledge is constructed in the internet age, this seems like a fascinating project. This echoes a project I’ve assigned for my first-year composition students several times that asks them to anaylze the changes made to a “controversial” Wikipedia article. Interesting stuff. Adam Jackson discusses the future of cloud storage for digital media and its implications for consumers, touching on the implications for corporate control over our data and concluding that we’re better off with physical copies (DVDs, etc). On a related note, Mark Hayward discusses the implications of Google’s recent moves regarding net neutrality. And, just for fun, Neo-Lebowski, where Morpheus introduces The Dude to the nature of reality. Somewhere, I think film geekdom just exploded.